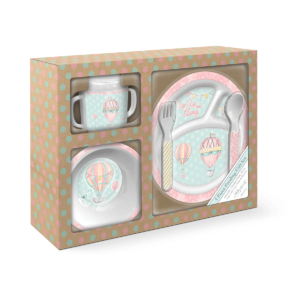 This 5-piece set is everything your little one needs for some messy mealtime fun—who knows, some food might even make it into that little mouth! 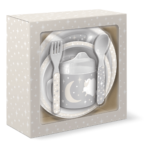 Includes a divided plate, bowl, two-handle sippy cup with lid, fork and spoon. 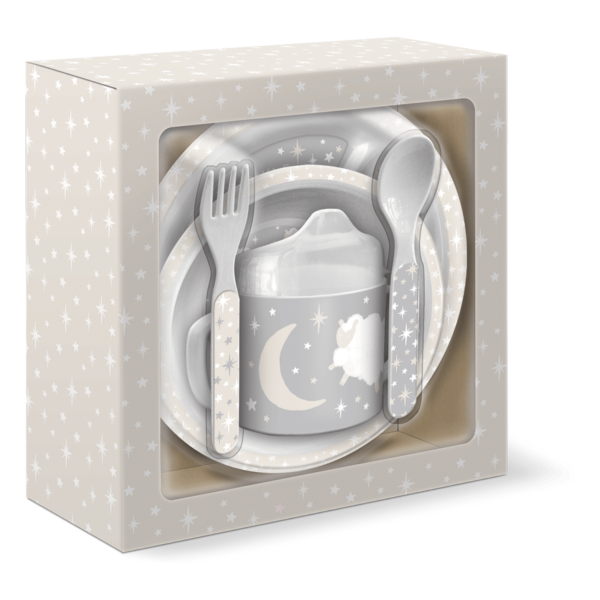 All BPA-free, of course.